Make a bold presentation with this striking credenza finished in our Heatherfield Grey and topped with a rich wood grained surface. Raised molding defines the linear spaces on the sides and around the front, enticingly framing the four doors. Mirrored door fronts dazzle with large diamond overlays, and when open reveal a large shelved interior perfect for adding that always needed extra storage to any room! 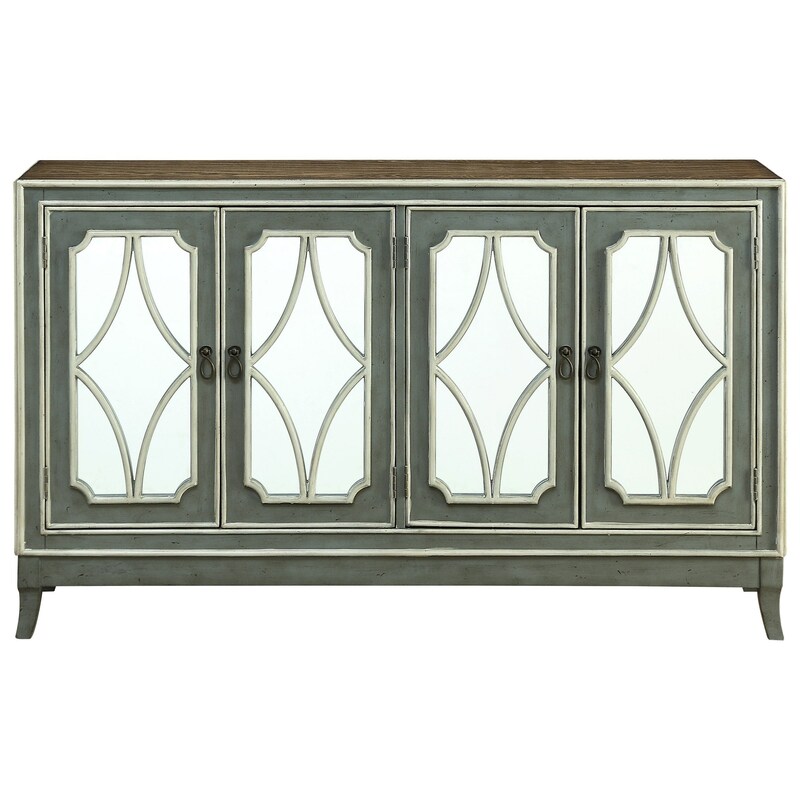 The Coast to Coast Accents Four Door Credenza by Coast to Coast Imports at Miskelly Furniture in the Jackson, Pearl, Madison, Ridgeland, Flowood Mississippi area. Product availability may vary. Contact us for the most current availability on this product.